And here's me practicing my best Bonnie Tyler look in preparation for the show! So not only did I have a great night out, I also got a new facebook profile picture and the inspiration for a fun article. Now that's what I call multi-tasking! Today you get two interviews for the price of one, because J M Stewart kindly invited me over to her blog, where we discovered how much we have in common. We're both romance writers, published with Crimson Romance and The Wild Rose Press, who love the seaside and the smell of lavender. Who'd have thought it? I've had so much fun doing this blog swap - hopefully there will be plenty more! Today I welcome J.M.Stewart to my blog. J.M. Stewart writes sweet and heartwarming contemporary romance with a touch of passion. She’s a wife, a mother, a spiritualist, and lover of puppies, and happily addicted to coffee and chocolate. She lives in the Great Rainy Northwest with her husband of sixteen years and their two sons. She’s a hopeless romantic who believes everybody should have their happily-ever-after and has been devouring romance novels for as long as she can remember. Writing them has become her passion. Welcome! I notice you describe your books as ‘sweet and spicy’, which sounds like a potent combination.What exactly do you mean, and did it take you long to come up with that description? Hi Zoe! Welcome to my Wednesday interview. Can you tell us about ‘Dawn of a Dark Knight’ and what inspired you to write it? I grew up heavily influenced by Indiana Jones, James Bond, Star Trek, and Star Wars.For books I started with Ann Rice and then got sucked into the paranormal romance world (and never looked back).So, writing paranormals was a no brainer. 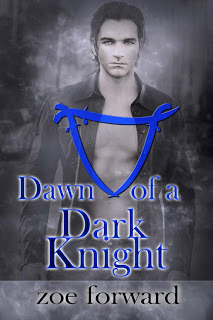 For Dawn of a Dark Knight everything came together at the right creative moment — my love of Egyptian mythology, my long-time passion for archaeology, my ideas about a new type of paranormal hero and more. It all just gelled. In Dawn of a Dark Knight Dr. Kira Hardy jeopardizes her brilliant medical career to save Ashor Vlahos, Scimitar Magi commander, after a brutal daemon attack. Their attraction is instant and, for Ashor, forbidden.As an ancient nemesis resurfaces and targets Kira, they face a crucial decision—follow the gods’ rules or follow their hearts. For the last few weeks, I've been using my 'sneak peeks' to introduce you to some of my favourite characters from my first book, 'Desperate Bid'. Today, my heroine Sarah isn't the happiest person in the world: she's just home from the pub, where she ran into her friend and colleague Michelle, which would have been lovely if it weren't for the fact that Michelle was sitting happily chatting to Sarah's arch-rival Miles. "On Saturday, Sarah was itching with impatience to find out whether they’d won, but she was still smarting from Michelle’s accusations. Not to mention finding her so cosy with Miles in the pub after work. She knew she shouldn’t take it personally, but she couldn’t help seeing it as a kind of defection. Today I'm back at the beautiful 'Blurbs in Bloom' blogsite with a short excerpt from 'Perfect Partners' - visit http://www.blurbsinbloom.com/2013/04/perfect-partners.html to find out what happens when Lisa wonders whether it wouldn't be easier to stop faking a relationship for the sake of the dance/romance TV show she and Redmond are taking part in. Kind of a cringe-worthy moment, but hey, we've all had them, right? And it's nice to know you're not alone, so please stop by and show Lisa some sympathy! 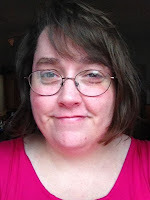 Today's interview is with multi-talented author Lisa Hannah Wells. Welcome, Lisa. You write in a long list of genres, including paranormal and contemporary romance. Do you have plans to focus on one, or do you enjoy the variety? I truly enjoy the variety. I am never certain “who” will pop up next demanding their story told. Often, the genres are so totally different from one another. Then there is the fun I have of mixing genres. I rarely do things the same. 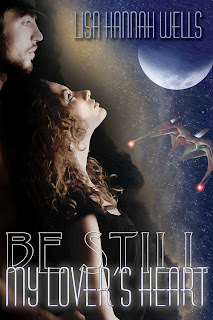 I love the cover for ‘Be Still My Lover’s Heart.’ It reminds me of ‘Avatar’. What books and films do you think have influenced you as a writer? I have always loved movies that had a paranormal theme, yet romantic. I’m not a horror fan. My favorite books are the “Outlander” series, most things by Christine Feehan and Sherrilyn Kenyon. I also love great YA. Harry Potter, Cassandra Clare, James Patterson. Tolkien is another great favorite. Furthermore, if I left out Science Fiction and Fantasy I’d not be honest. Today I'm delighted to be welcoming Jane Lovering to my blog. Jane won the Romantic Novel of the Year award for her wonderful love story, 'Please Don't Stop the Music', and after I heard her talk to the Romantic Novelists' Association about her success, I managed to persuade her to answer some follow-up questions for me. Humour in writing obviously comes naturally to you, but what advice would you give someone who’s not a naturally funny writer?